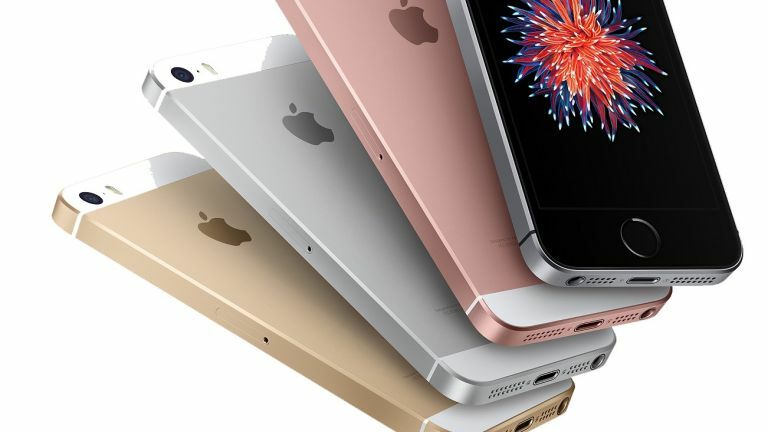 We've got all the best iPhone SE deals available during 2019 in one place so you can get a great deal on Apple's small-screened but still very powerful handset. It's a modern iPhone in the shape of a classic iPhone, perfect for people who like the smaller iPhone size and don't want or need a larger screen. And, considering the iPhone 5S is now long gone, the iPhone SE is now the only choice if you want a quality smaller screen iPhone. The iPhone SE is pretty up-to-date - that's right, there's no old hardware in that case, with a super-fast CPU and graphics, as well as a 12MP camera straight out of the box. And whatever type of contract you'd like, we've got the best selection of iPhone SE tariffs. We've got cheap deals, big data deals, deals where the phone comes free. You name, we've found the SE deal for you.